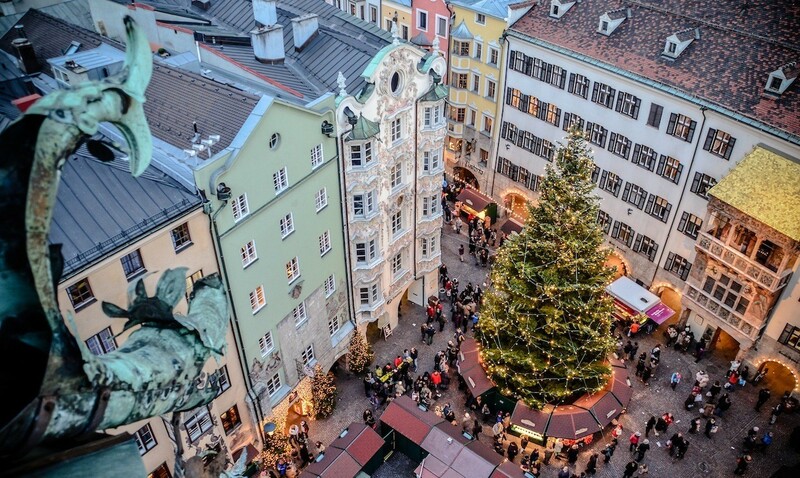 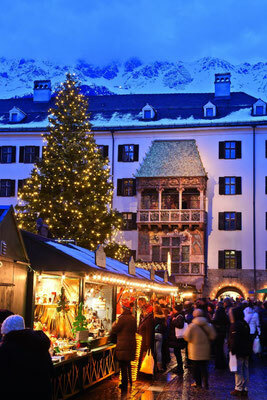 Innsbruck’s traditional Christmas Market is set before the Golden Roof and surrounded by medieval house facades. 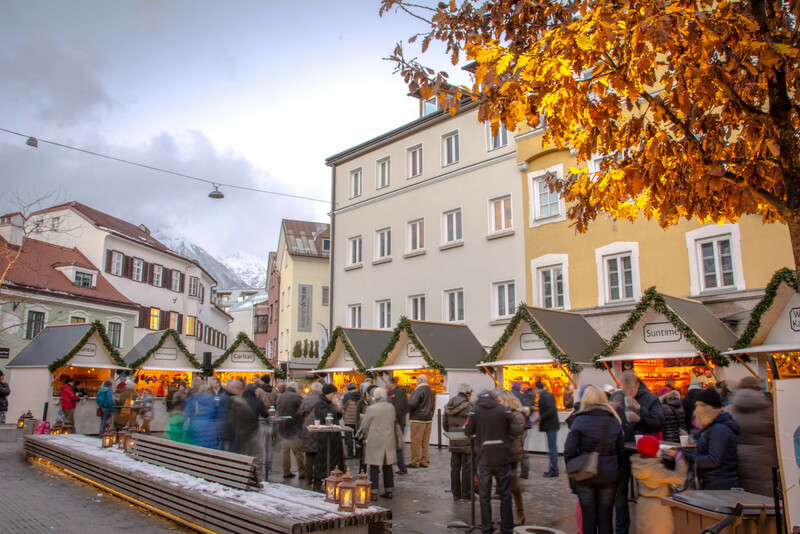 On a stroll through the market with over 70 stalls, you will find Christmas tree decorations, arts and crafts and a few curiosities. 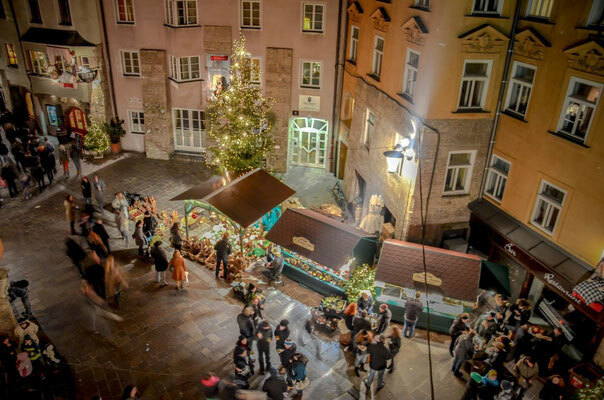 A visit to the viewing platform over the hut rooftops or the enchanting “Fairy Tale and Giants‘ Alley” is an absolute must. 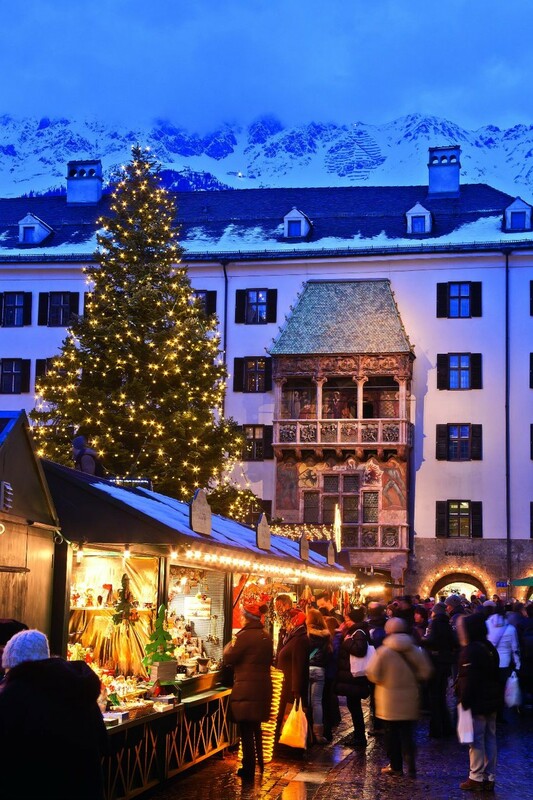 Then round off your evening under the magnificent Christmas tree in front of the Golden Roof, with the traditional sounds of the tower trumpeters filling the crisp air each day and a mug of mulled wine warming your hands. 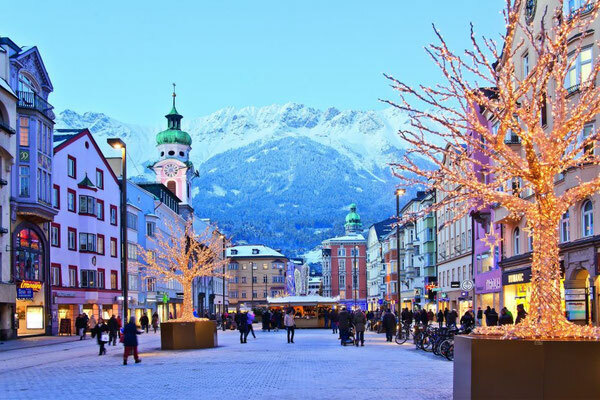 Innsbruck’s main shopping street will once again dazzle visitors with a cornucopia of lights, glass and crystal – an avenue of glittering illuminated trees, with modern lighting design and vivid mountain crystal, giving this Christmas market a very special flair. 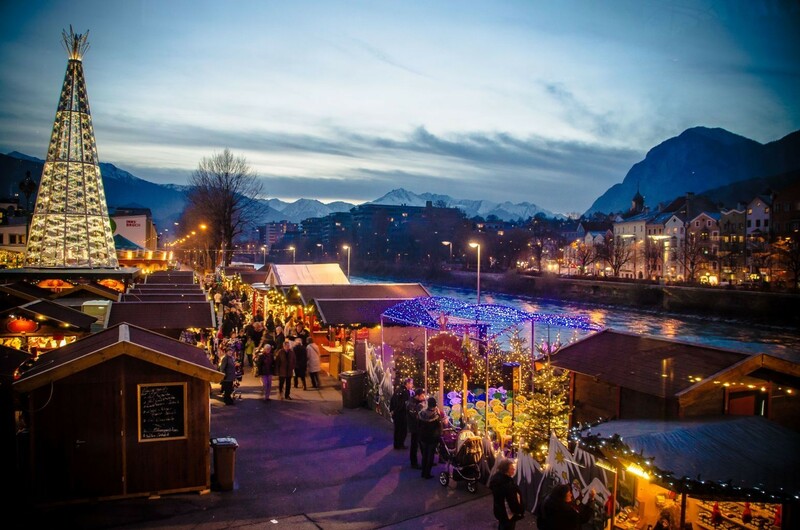 At the 30 stalls you will find an exciting array of international Christmas products and all manner of delicious treats. It’s clear to see the world comes to Innsbruck! This traditional, cosy, Tyrolean village-style market is an experiencethe whole family will love. 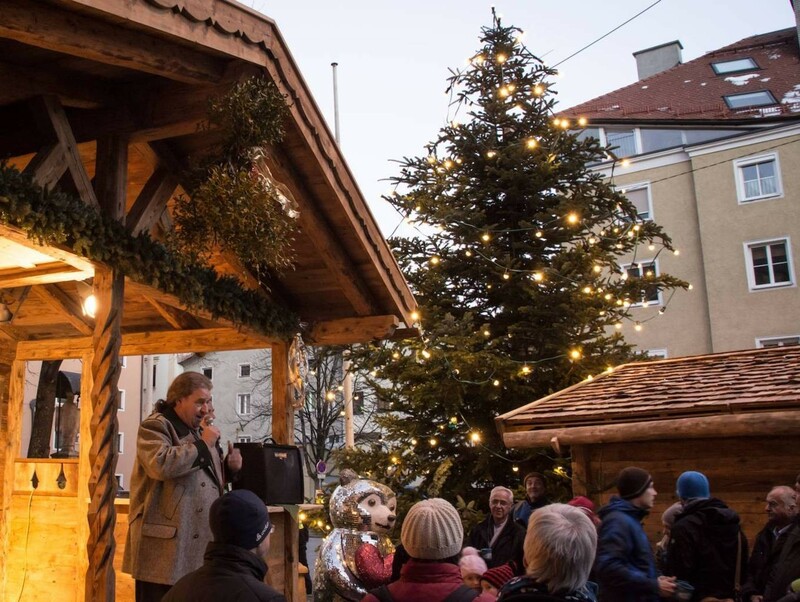 The huge range on offer, including a puppetshow, storytelling, pony rides, petting zoo and nostalgic carousel is sure to impress visitors young and old alike. The real eye-catcher though is the glittering, over 14 metre-high Swarovski crystal tree, which this year welcomes a new star. 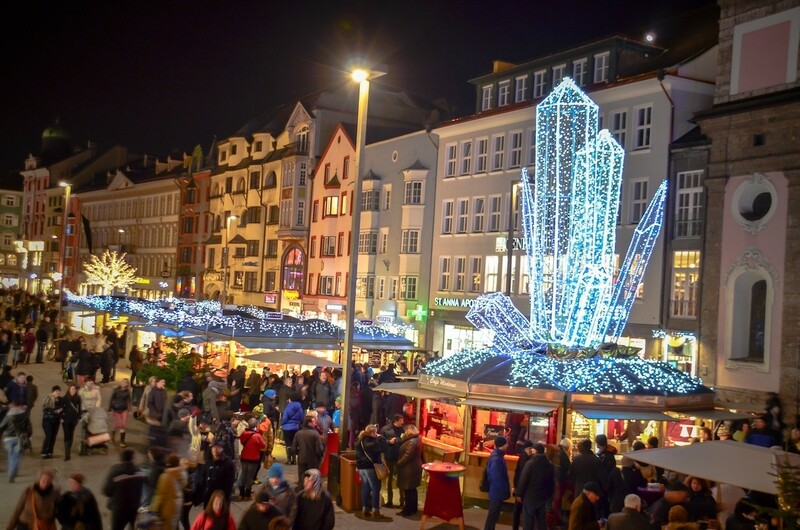 More than 60 stalls selling Christmas products and a variety of delicious delicacies add to the market’s appeal and make it a popular meeting place.